Merrillville, Indiana-based MonoSol was named a Best and Brightest Company to Work For in the nation in 2016 by the National Association for Business Resources. January 24, 2017 – MonoSol, a division of Kuraray, has been named a Best and Brightest Company to Work For in the nation in 2016 by the National Association for Business Resources (NABR). The Best and Brightest Companies to Work For award recognizes organizations that represent best practices in human resources and strong commitments to their employees. The winning companies are assessed by an independent research firm based on key measures like compensation, benefits and employee solutions, employee enrichment, engagement, retention and work-life balance. Companies that see their employees as the keys to success achieve staying power, Jennifer Kluge, president and CEO of NABR, noted in the announcement. “Our 2016 winners create their human resource standards to ensure employee satisfaction and they set standards for every business to aspire toward,” Kluge said. MonoSol will be featured in the Feb. 2 online edition of Corp! Magazine. MonoSol is a rapidly growing company that is committed to expanding in Northwest Indiana. 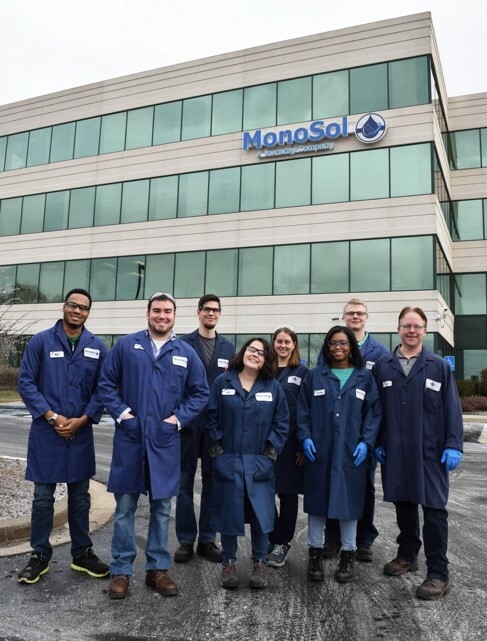 MonoSol employees 528 employees worldwide and 450 in the Northwest Indiana area. MonoSol’s water-soluble film technologies have revolutionized detergent and cleaning industries all over the world. Our water-soluble packaging design helps create products that can deliver exact dosage, easier handling, greater convenience, and safety and sustainability. MonoSol’s growing portfolio of applications includes detergents, cosmetics and personal care products, food manufacturing, ag chem, pool and spa, transfer printing and more. Through our collaborative mindset, global manufacturing footprint, high-quality products and scientific expertise, we partner with our customers to create innovative product packaging solutions that enhance everyday life. Founded in 1953, MonoSol is a division of Kuraray, one of the world’s leading specialty chemical companies, and is based in Merrillville, Indiana.